"What in the world is Noah doing outside the ark while it's raining?" asked one reader, Daniel Cristancho, in his comment on my recent essay about Darren Aronofsky's Noah. "The bible clearly tells us that Noah and his family were locked into the ark 7 days before the flood began." This statement is typical of many negative responses to the film, which are quick to point out Aronofsky and cowriter Ari Handel's departures from the Biblical text. 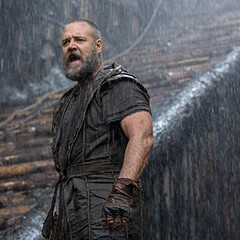 I have no doubt that Noah is filled with such "inaccuracies," yet I don't find this problematic because Aronofsky and Handel have made it clear that their film is not a definitive reading of scripture, or even a literal one. Rather their film is a personal reflection on the Torah, written after the fashion of midrashic texts. "What Mr. Aronofsky did was akin to basing a movie on Homer's The Iliad . . . on scholarly works about The Iliad," Cristancho also noted. "The finished product bears no resemblance to the original." Again, I agree 100 percent with Mr. Cristancho—but, again, I don't consider this a problem. To refer once more to scholar Jacob Neusner, Jewish tradition does not regard the Torah as sacrosanct, but open to debate and elaboration. As such, exegetical literature informs contemporary Jews' understanding of the Torah no less than the Torah itself. What I find most compelling about Aronofsky's film is how it engages with this literary tradition as a whole. Even if it gets the words wrong, I feel it gets the music right. I probably should note that my interest in the film is not theological in nature. Like Aronofsky and Handel, I was raised a practicing Jew but no longer consider myself observant. Yet I still enjoy engaging with midrash—and to a lesser extent, Noah—for what it tells me about certain narrative and cultural traditions. Yes, I feel a personal connection to these traditions, but I think they're fascinating enough to warrant attention from non-Jews, even nonbelievers. Aronofsky's film would seem to reflect a similar point of view. What might non-Jewish spectators stand to gain from discovering the midrashic tradition? Perhaps they'll see in it a precursor to the communal storytelling that's developed around the Star Wars and Star Trek franchises, wherein countless enthusiasts elaborate on favorite incidents and characters to transform a series of "official" stories into an entire fictional universe. Or perhaps they'll appreciate the complex relationship between individual storytellers and communal history. The authors of midrashic texts acknowledged they were elaborating on Torah so that they might better understand it. They expected their audience to appreciate the stories on two levels at once—on their own terms and as reflections on the original text. Noah represents one version of what midrashic cinema might look like, but there could be many others. Another approach might look like Jean-Luc Godard's late-period films—both narrative works like Nouvelle Vague and In Praise of Love and essay works like Histoire(s) du cinéma (a most midrashic title, come to think of it)—in which most of the dialogue consists of quotations and every shot contains references to films or visual artworks that have inspired Godard. 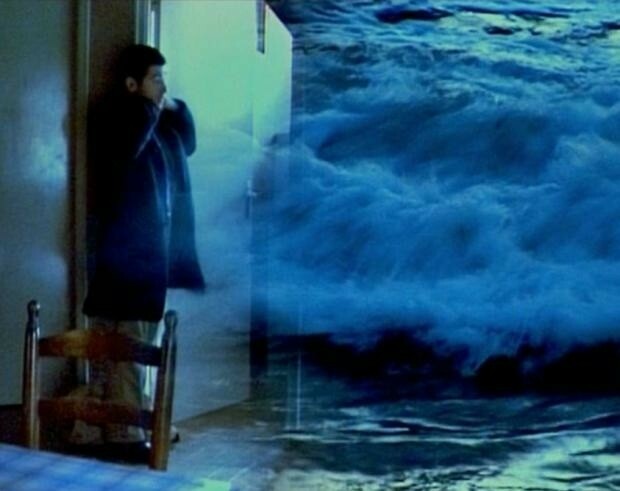 The Chilean-born filmmaker Raul Ruiz provided yet another with such cerebral fantasies as City of Pirates and Mysteries of Lisbon, in which stories give way to other stories and so on. 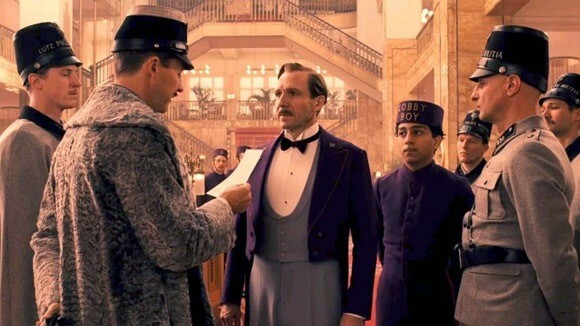 Wes Anderson's The Grand Budapest Hotel combines elements of both of these filmmaking styles. The central narrative—set in a cinephile's dream of the 1930s, drawn liberally from the movies of Ernst Lubitsch, Ruben Mamoulian, and many others—comes to us after having passed through numerous iterations. One character who experienced the story firsthand relates it in the 1960s to an author, who puts it to paper another decade or so later. The film we're watching is a visualization of the novel as it plays out in the mind of a teenager living in an imaginary Soviet-bloc nation in the 1980s. At the heart of the primary narrative is Ralph Fiennes's M. Gustave, a poignant figure who tries to maintain a 19th-century mode of civility three decades into the 20th century. This ideal of civility may be several degrees apart from the present (or near-present, in this case), yet it continues to exert a magical spell—in fact the layers of elaboration only augment its power. Is it coincidental that Anderson cites Stefan Zweig, one of the most popular Jewish authors of his time, as the inspiration for Grand Budapest?